Did Hedge Funds Drop The Ball On Kansas City Southern (KSU) ? A whopping number of 13F filings filed with U.S. Securities and Exchange Commission has been processed by Insider Monkey so that individual investors can look at the overall hedge fund sentiment towards the stocks included in their watchlists. These freshly-submitted public filings disclose money managers’ equity positions as of the end of the three-month period that ended December 31, so let’s proceed with the discussion of the hedge fund sentiment on Kansas City Southern (NYSE:KSU). Kansas City Southern (NYSE:KSU) has seen a decrease in hedge fund sentiment recently. KSU was in 20 hedge funds’ portfolios at the end of December. 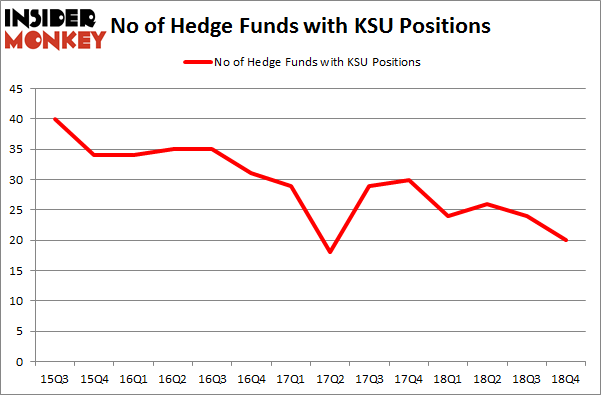 There were 24 hedge funds in our database with KSU positions at the end of the previous quarter. Our calculations also showed that KSU isn’t among the 30 most popular stocks among hedge funds. Let’s take a look at the fresh hedge fund action regarding Kansas City Southern (NYSE:KSU). At the end of the fourth quarter, a total of 20 of the hedge funds tracked by Insider Monkey held long positions in this stock, a change of -17% from one quarter earlier. Below, you can check out the change in hedge fund sentiment towards KSU over the last 14 quarters. With the smart money’s sentiment swirling, there exists a select group of notable hedge fund managers who were boosting their holdings substantially (or already accumulated large positions). More specifically, Soroban Capital Partners was the largest shareholder of Kansas City Southern (NYSE:KSU), with a stake worth $95.5 million reported as of the end of September. Trailing Soroban Capital Partners was 3G Capital, which amassed a stake valued at $55.4 million. Holocene Advisors, D E Shaw, and Sirios Capital Management were also very fond of the stock, giving the stock large weights in their portfolios. Because Kansas City Southern (NYSE:KSU) has faced a decline in interest from the entirety of the hedge funds we track, it’s safe to say that there lies a certain “tier” of hedge funds who were dropping their positions entirely by the end of the third quarter. Intriguingly, Peter Rathjens, Bruce Clarke and John Campbell’s Arrowstreet Capital dumped the largest stake of all the hedgies watched by Insider Monkey, comprising about $21.1 million in stock. Robert Pohly’s fund, Samlyn Capital, also cut its stock, about $12 million worth. These bearish behaviors are intriguing to say the least, as total hedge fund interest dropped by 4 funds by the end of the third quarter. Let’s now review hedge fund activity in other stocks – not necessarily in the same industry as Kansas City Southern (NYSE:KSU) but similarly valued. We will take a look at WestRock Company (NYSE:WRK), IDEX Corporation (NYSE:IEX), Cabot Oil & Gas Corporation (NYSE:COG), and The AES Corporation (NYSE:AES). This group of stocks’ market values match KSU’s market value. As you can see these stocks had an average of 27.5 hedge funds with bullish positions and the average amount invested in these stocks was $478 million. That figure was $371 million in KSU’s case. Cabot Oil & Gas Corporation (NYSE:COG) is the most popular stock in this table. On the other hand IDEX Corporation (NYSE:IEX) is the least popular one with only 19 bullish hedge fund positions. Kansas City Southern (NYSE:KSU) is not the least popular stock in this group but hedge fund interest is still below average. This is a slightly negative signal and we’d rather spend our time researching stocks that hedge funds are piling on. Our calculations showed that top 15 most popular stocks among hedge funds returned 19.7% through March 15th and outperformed the S&P 500 ETF (SPY) by 6.6 percentage points. Hedge funds were also right about betting on KSU as the stock returned 20.3% and outperformed the market as well. You can see the entire list of these shrewd hedge funds here. 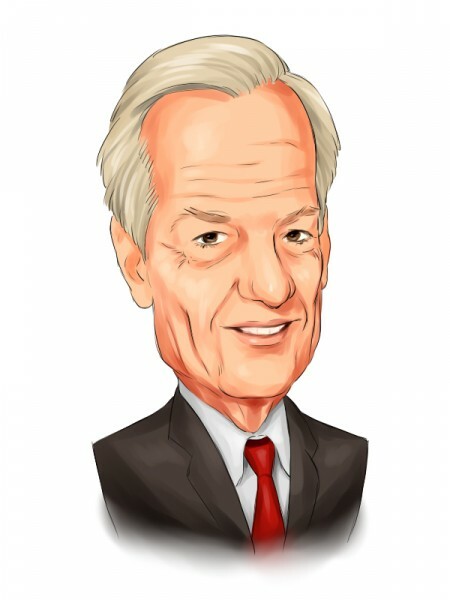 Sarissa Capital Management Hires New President Were Hedge Funds Right About Souring On Teck Resources Ltd (TECK)? 5 Ways to Play the Autonomous Driving Trend 4 Ways To Play the Ride Sharing Trend 5 American Companies that Will Benefit From the End of the Trade War Were Hedge Funds Right About Souring On News Corp (NWSA)?